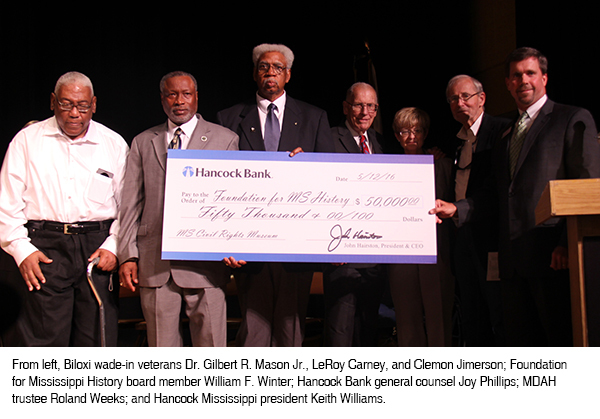 FROM MDAH RELEASES — Hancock Bank has made a $50,000 contribution to the Mississippi Department of Archives and History for the 2 Mississippi Museums project. The gift will sponsor the “Sitting In” section of the “Tremor in the Iceberg” gallery of the Mississippi Civil Rights Museum. 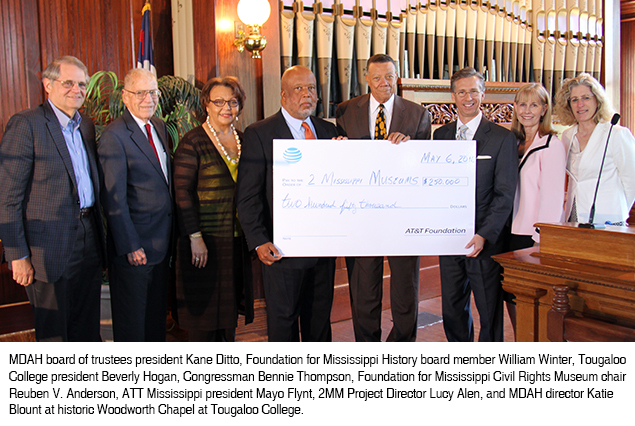 FROM MDAH RELEASES — AT&T has made a $250,000 contribution to the Mississippi Department of Archives and History for the 2 Mississippi Museums project. The gift will sponsor the Black Empowerment Gallery in the Mississippi Civil Rights Museum.